maximum fixed quantity of paper cutting is 600g/m�. The machine can cut out two kinds of length and width flat paper. 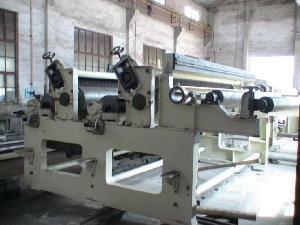 The machine mainly consists of paper conveying device, paper cutting device and unwinding stand and so on. It is also equipped with pneumatic and hydraulic system, trim suction fan and electrical general drive system etc.